It’s been a long time since I have done a blog update (my apologies) and I realized that I completely forgot to do a little update about London Collections: Men SS16. 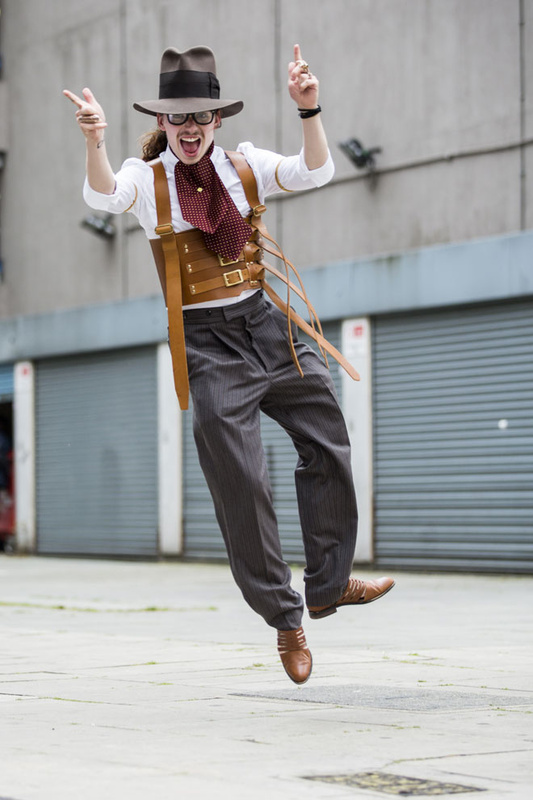 I thought it would be a good idea to start with a couple of street style photographs from the escapades. As some of you know, this year I spent 3 months doing an internship with a fashion course at a university in China and I returned to the UK the day before the LC:M festivities began which meant my wardrobe was a tad limited as I didn’t get chance to head home before the shows started. In transit back to the UK, one of my suits had got rather crumpled but luckily I had been blessed with the good fortune of having my first day’s attire kindly gifted to me by the Thomas Farthing London gang. (apart from the shoes) my whole ensemble was from the Thomas Farthing store and what a fun outfit to begin the week with! 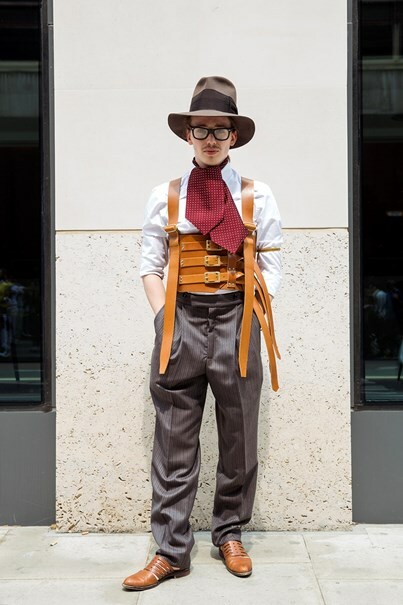 The inspiration was a Victorian Dandy with cravat, over-sized trilby and the leather stab-proof vest which was created by the Farthing front man, Adam Skyner based off an 1880’s design. My outfit for the day was definitely noticed at LC:M and I think it was a nice fun way to kick off the shows for the week. A big thank you to all the team at Thomas Farthing London who had me hooked up for the whole of LC:M SS16 with various head wear and accessories. 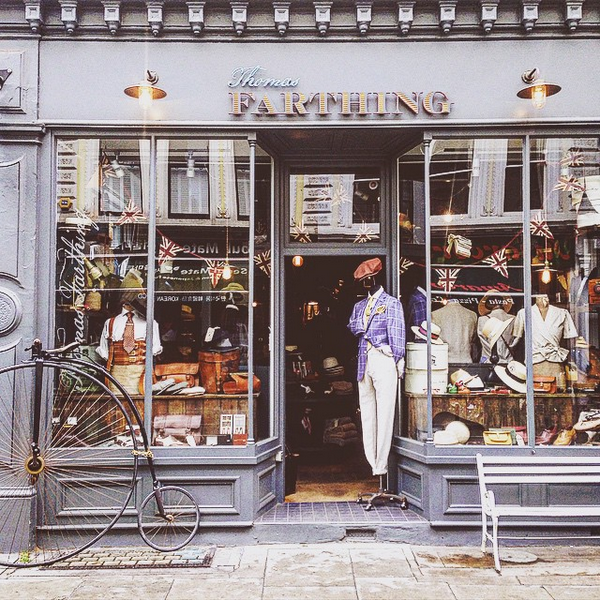 If you’re out and about in Central London, I would strongly recommend checking out the store, they have such a beautiful collection of clothing and accessories for men and women. You can’t miss the giant Penny Farthing bicycle outside the show. 40 Museum Street, London.